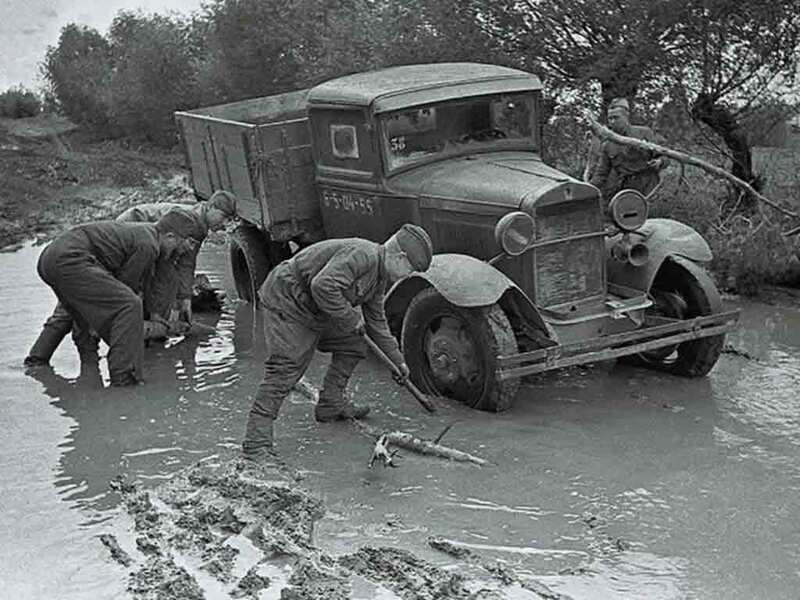 Soviet soldiers pulled out of the mud stuck truck – “Polutorka” GAZ-AA (or GAZ-MM). GAZ-AA (polutorka) – Nizhny Novgorod truck (1932), later the Gorky Automobile Plant, lifting capacity of 1.5 tons (1500 kg). Initially, GAZ-AA model has served the American truck Ford Model AA 1930 sample year, but later it was designed according to Russian figures.